In DIY On March 19, 2019 No comments. Designer Tom Dixon is opening a restaurant and showroom called The Manzoni in Milan, allowing his brand to “forget being temporary and build something permanent” in the city. The 100-cover restaurant, designed by Dixon’s Design Research Studio, will open next month in time for Milan design week, which runs from 9 to 14 April. 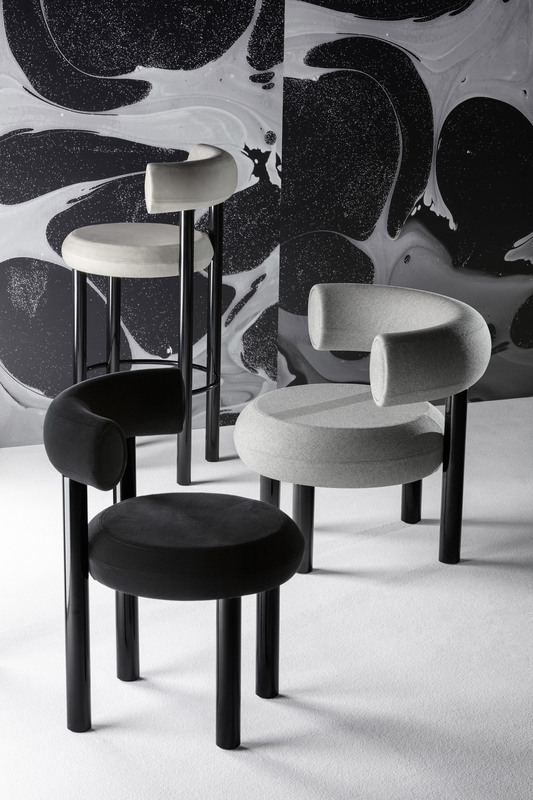 The Manzoni, Dixon’s first permanent space in continental Europe, will give the brand its own location in the city, allowing it to present products during the annual furniture fair without having to search for a temporary location every year. “With the city being so active and engaging right now, it is the right time to forget being temporary and build something permanent,” he continued. 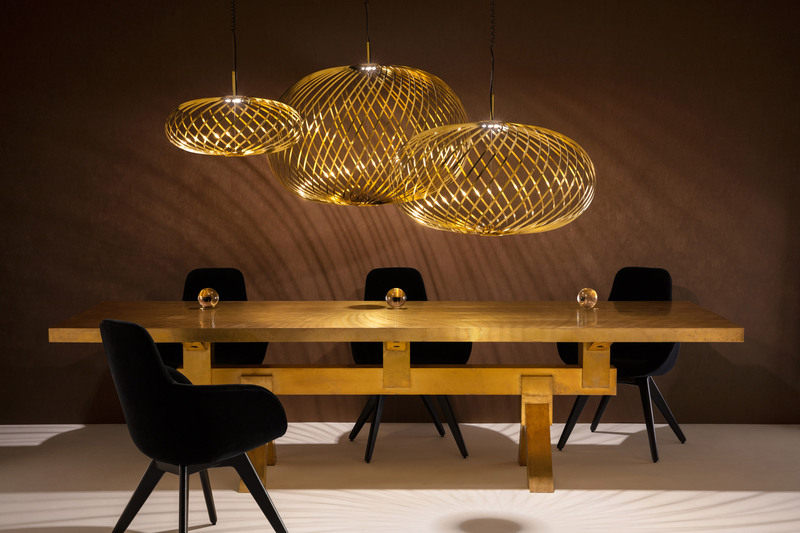 Located at 5 Via Manzoni, close to Milan’s La Scala opera house, the venue will be fitted out with products designed by the Tom Dixon brand, including three ranges that will launch during design week: a series of upholstered chairs called Fat, the Spring series of pendant lamps, and Opal translucent globe lights. Combining a showroom with a restaurant will create a more engaging environment for shoppers, said Dixon, who believes there’s “nothing dustier than a conventional lighting and furniture showroom”. Dixon’s new Coal Office headquarters in London already combines a bar, restaurant and showroom. 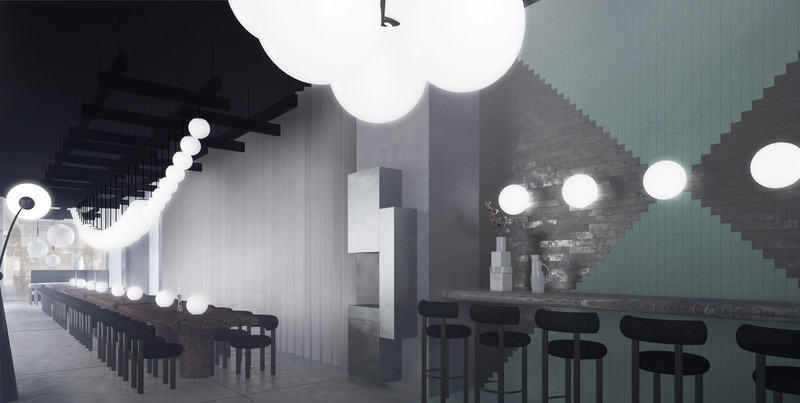 Early renders of the space suggest that it will include long sharing tables lined with Fat dining chairs and a bar area with raised bar stools from the collection. In another area, Spring lights made from stainless steel strips hang above marble-topped tables, with the designer’s Rock marble candle holders placed on each. Last year Dixon moved his headquarters from Portobello Dock in west London to King’s Cross, where he opened a new studio, showroom and restaurant in a 1,625-square-metre complex close to the Thomas Heatherwick-designed Coal Drops Yard. The post Tom Dixon to open The Manzoni, a permanent restaurant and showroom in Milan appeared first on Dezeen.